I thought I’d do a quick review of the PVL Essentials “100% Instant BCAA” supplement. With a simple BCAA product it is tough to do a thorough review, but I know some people are interested and searching about every supplement out there so I will try to be as helpful as I can. First off I HIGHLY recommend that everyone who is working out be taking a BCAA supplement. It isn’t necessary to take a separate BCAA supplement if you are using another supplement (such as the Assault pre workout supplement) that includes BCAA’s within it, but you need to be sure you are getting enough of the three essential Branch Chain Amino Acids. The essential BCAA ingredients that are found in the supplements are L-Leucine, L-Valine, and L-Isoleucine. These three ingredients are directly linked to muscle protein growth. 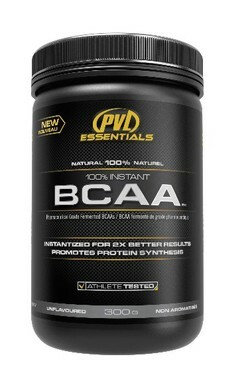 In the PVL Essentials 100% Instant BCAA supplement you will get a nice dose of all three essential BCAA’s. 1 scoop includes 3 grams of L-Leucine, and 1.5 grams of both L-Valine and L-Isoleucine. There are studies being done constantly about how much BCAA’s someone who is working out should be taking, but that 6 grams should be a nice healthy dose. I would even go as far as taking 2 scoops of these BCAAs per day (maybe one before a workout and one after a workout). My favorite thing about the 100% Instant BCAA supplement is that it is in powder form. A lot of BCAA supplements are in pill form so it was nice to see this one as a powder, as I already swallow a number of pills daily (animal cuts, anavite, etc). Also note that it is an unflavored supplement so you don’t have to worry about the taste. You can simply mix it with water and chug it down, or you can put it in your pre workout supplement or post workout shake. The “100% Instant” part of the name of the supplement comes from the fact that it is supposed to enter the bloodstream more completely and efficiently. I’m not too sold on that, but I guess it is a bonus either way. PVL Essentials usually carry quality supplements so I can trust that the product is one of the more advanced BCAA supplements out there. And finally with a review of the price, I think it is very fairly priced. Remember BCAA supplements are probably the #1 most essential supplement you can use whether you are trying to gain muscle or lose fat. I would rather spend $30 on a BCAA product than $70 on an overpriced pre workout supplement. If you’ve been thinking about buying the PVL 100% Instant BCAA supplement I highly recommend you go for it! If they are instant, then you should know when you mix the product. Did it mix immediately or did it not? 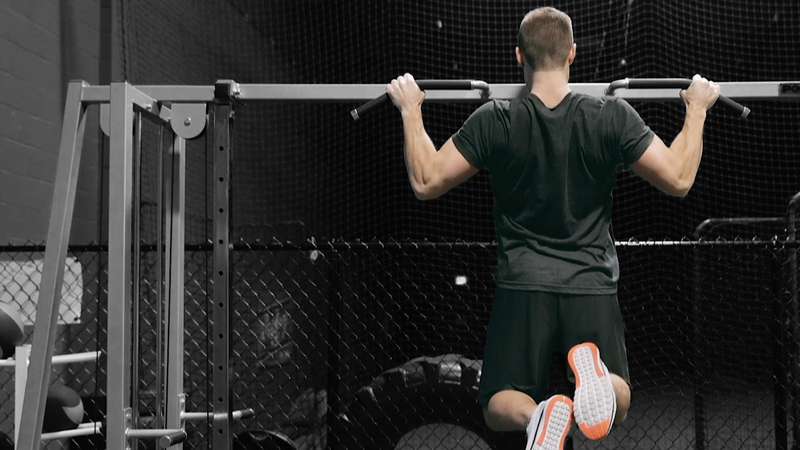 Have you taken anabolic state. What’s your take on that NCAA?